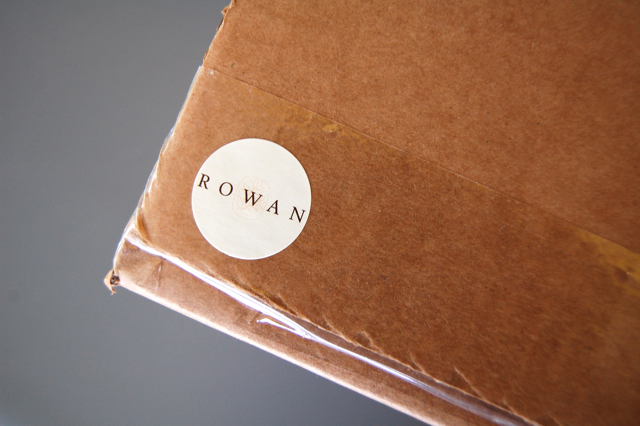 So, as a follow-up to my last post about being a Rowan Ambassador, I wanted to share a few photos of my first seasonal box of yarn and pattern books. You want to see what's inside, right? I did too ... I was so excited to see this package arrive on my doorstep last week. Inside, I found one skein each of the new Rowan yarns for this season: All Seasons Chunky, Softknit Cotton and Kidsilk Haze Glamour. 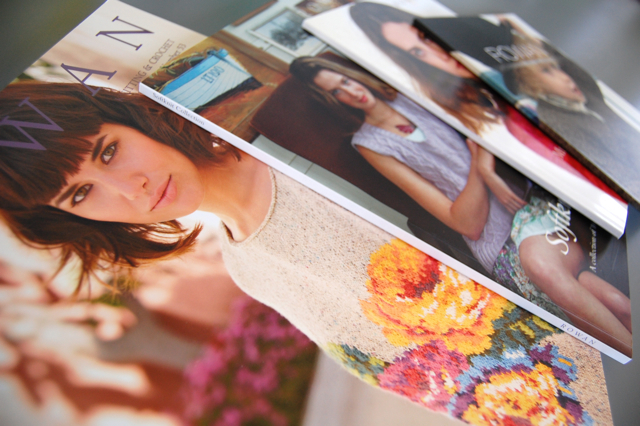 Also included were several pattern books, a swatch book of the Spring/Summer 2013 line and Rowan Knitting and Crochet Magazine 53. Here's a better look at the pattern books. 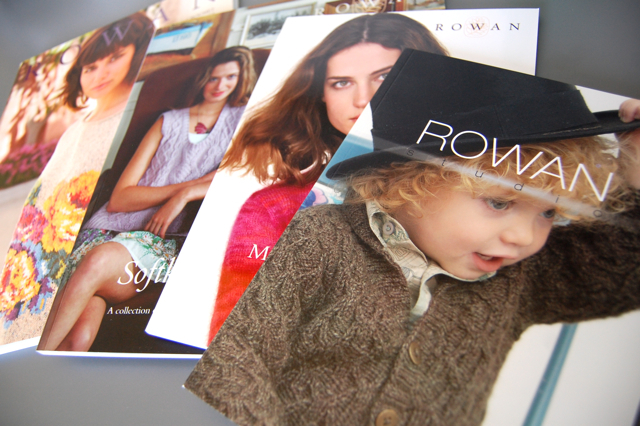 I'm especially excited about the Rowan Studio Issue 30, which is a gorgeous collection of baby/kid-sized sweaters. Several of them were named after the Von Trapp children in The Sound of Music, which is so fun. (Liesl, Marta, Gretel, Friedrich, Kurt, Louisa and Brigitta.) That alone makes me want to knit these sweaters even more! Wowzas...they really spoiled you!! 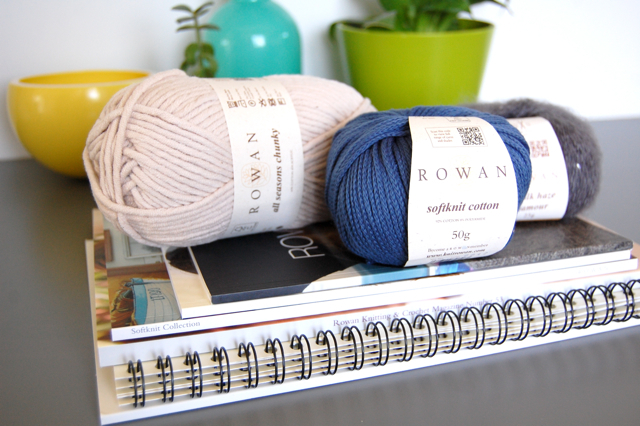 The Rowan Studio issue sounds especially awesome b/c of all the kid size knits! Can't wait to see what you do with the yarn. 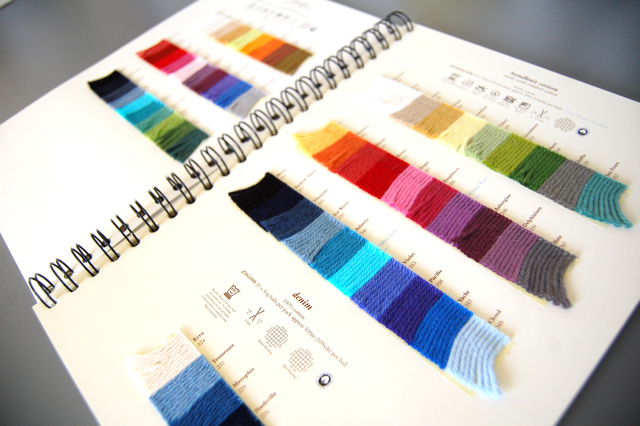 I'll bet you've patted that swatch book plenty!